For 80 years, Pine-Sol Brand Cleaner has been making a powerful difference at home by cleaning America's toughest grease and grime. Now they are encouraging women everywhere to make a powerful difference outside the home as well. Pine-Sol®'s Powerful Difference™ program awards dozens of grants to women leading the charge for change and helps provides tools, resources and inspiration to help and encourage others to start championing and creating change in their own communities. 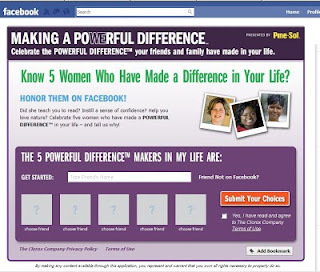 Since Facebook is such a powerful social networking community, Pine-Sol® has launched the Powerful Difference™ Facebook Page at http://www.facebook.com/powerfuldifference , allowing fans to connect with and get inspired by other difference makers. 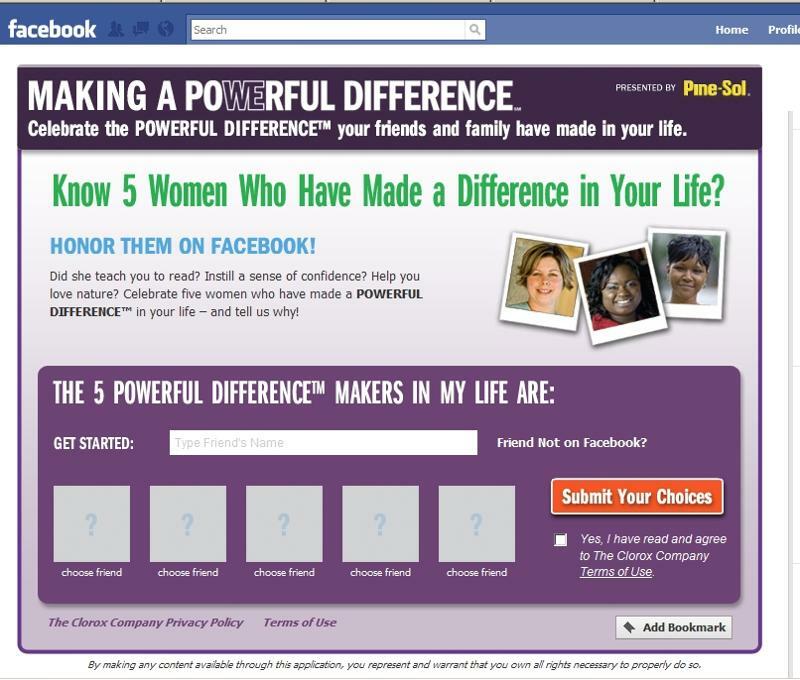 There, you'll find an easy-to-use Facebook application which allows you to display on your Wall the five women who have made a powerful difference in your life, helping inspire others to do the same. Honor someone you know today at http://www.facebook.com/login.php?api_key=44c2f9a3f8f0505269a4f8abf588f4bf&v=1.0&req_perms&next=http%3A%2F%2Ffbpowerfuldifference.clmprojects.com%2F&canvas=1 . You can also learn more about the program and get ideas on how to take action by visiting http://www.powerfuldifference.com/.